If you are found guilty of committing an offense in a New Jersey Superior Court, then you will face a judge for a sentencing hearing. Judges consider many factors when rendering their final judgment on sentencing. 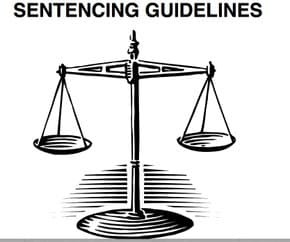 The New Jersey Code of Criminal Justice often stipulates recommended sentences or provides a range of years of imprisonment subject to the discretion of the judge. At a sentencing hearing, the judge considers character references in the form of letters or testimony at the hearing from close family, friends, and community members, as well as aggravating and mitigating factors as defined by law. The offense involved an act of domestic violence and the defendant committed at least one act of domestic violence on more than one occasion. More mature defendant substantially influenced the conduct of a youthful defendant. If you are facing a criminal charge in New Jersey, you should have an attorney on your side fighting for you. Our experienced attorneys at the Law Office of Sara McArdle practice throughout Northern and Central New Jersey. To schedule a free initial consultation to discuss your legal options, call our office at 973-366-5244.